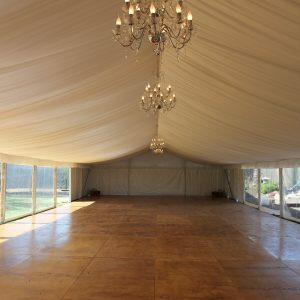 The end result of a hard days work for our boys provided a simply elegant wedding marquee. 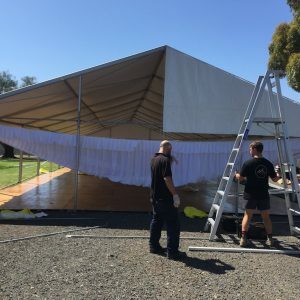 One of our 10m x 27m structure with clear walls and full timber floors came together with the silk liner and chandeliers. 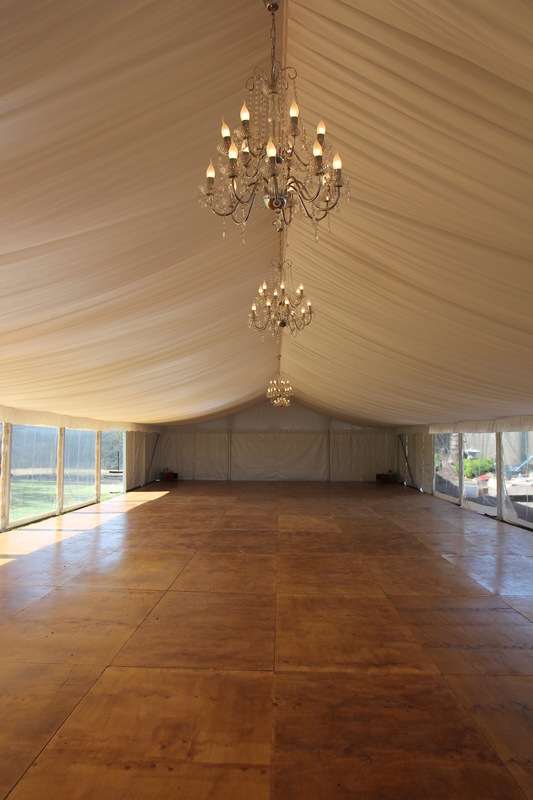 This is one of our more popular marquees for weddings and can be used for sit down weddings for up to around 150 guests including a dance floor and food area. 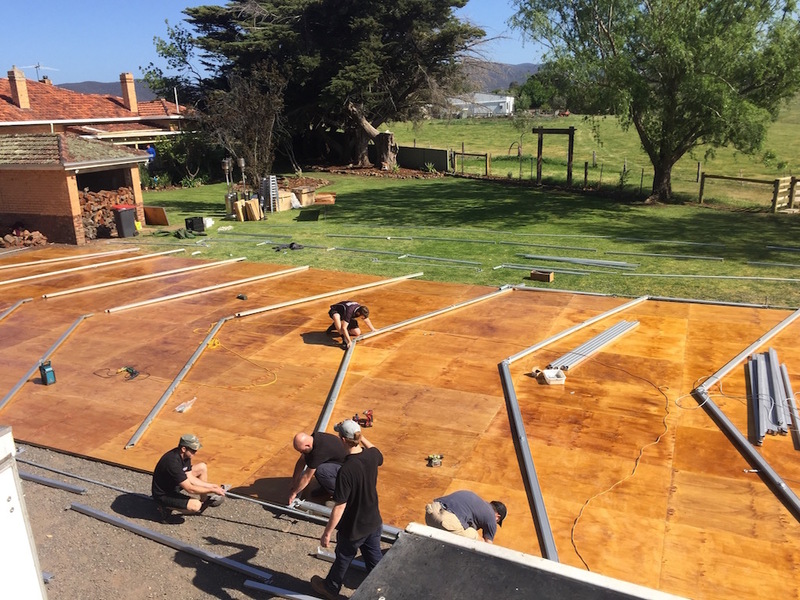 Our boys were at it all day to put this impressive structure up. 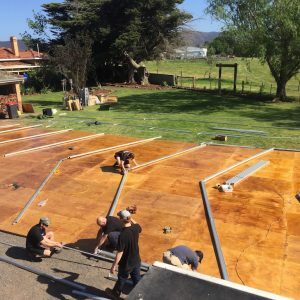 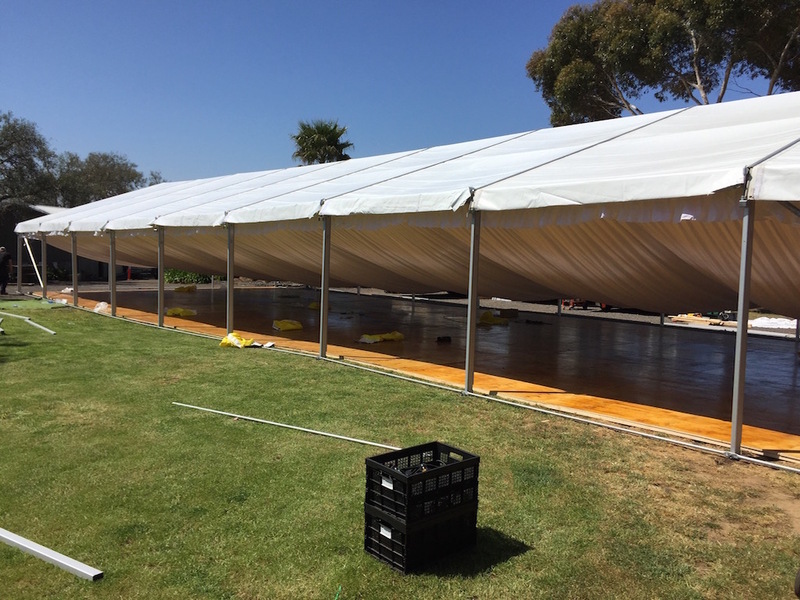 The great shots show the extent the boys get everything laid out first to ensure a smooth and swift marquee installation. 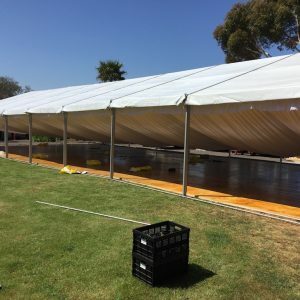 Our team take pride in the way our marquees go up to ensure the bride and groom can enjoy the lead up to their big day and not have to worry about the background set up. 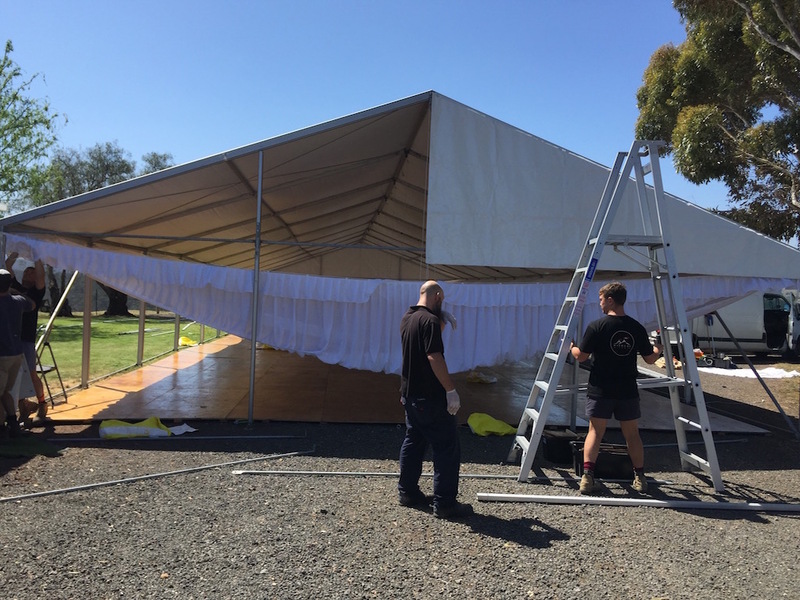 Even to the detail of our team wearing gloves to ensure the silk liner is in mint condition for a couples special day!